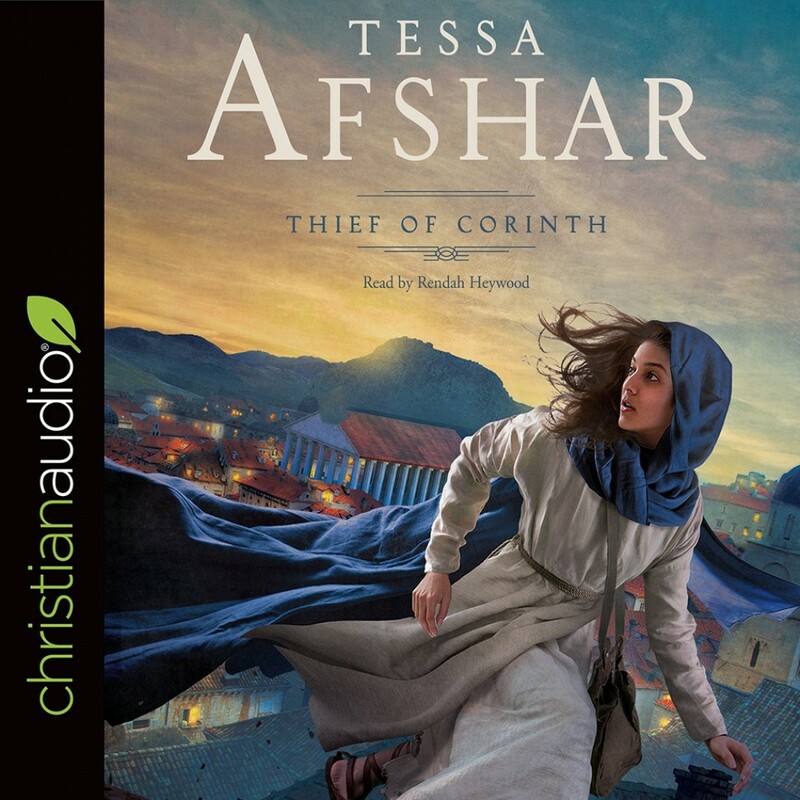 The Thief of Corinth | Tessa Afshar | Audiobook Download - Christian audiobooks. Try us free. First-century Corinth is a city teeming with commerce and charm. It's also filled with danger and corruption?the perfect setting for Ariadne's greatest adventure. After years spent living with her mother and oppressive grandfather in Athens, Ariadne runs away to her father's home in Corinth, only to discover the perilous secret that destroyed his marriage: though a Greek of high birth, Galenos is the infamous thief who has been robbing the city's corrupt of their ill-gotten gains. Desperate to keep him safe, Ariadne risks her good name, her freedom, and the love of the man she adores to become her father's apprentice. As her unusual athletic ability leads her into dangerous exploits, Ariadne discovers that she secretly revels in playing with fire. But when the wrong person discovers their secret, Ariadne and her father find their future?and very lives?hanging in the balance. When they befriend a Jewish rabbi named Paul, they realize that his radical message challenges everything they've fought to build, yet offers something neither dared hope for. Be transported back in time by this gripping tale of adventure, bravery, and redemption, and discover why Debbie Macomber says, "No one brings the Bible to life like Tessa Afshar."